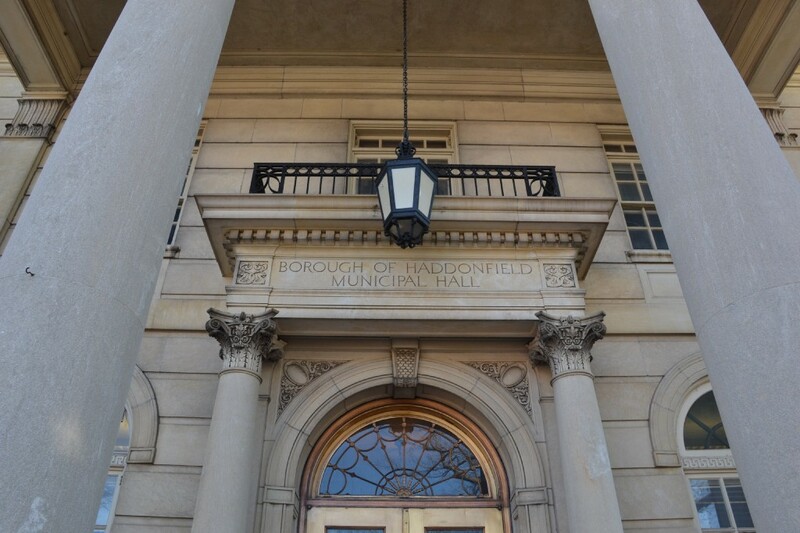 Home Haddonfield News At Borough’s Oct.
Haddonfield Board of Commissioners will hold a special meeting on Thursday, Nov. 2 at 7 p.m.to authorize the referral of amendments to the redevelopment plan to the planning board. At their Tuesday, Oct. 24 meeting, borough commissioners and residents discussed a resolution to designate a conditional redeveloper, 2 Hopkins Lane, LLC, for the Bancroft property, which the borough purchased last year. The Bancroft school first announced it was moving to a new location 10 years ago, leading to a decade of uncertainty about the future of the property. Haddonfield purchased the property by signing an agreement between Bancroft School and 2 Hopkins Lane, LLC, the buying company of Brian O’Neill of Recovery Centers of America. Originally, O’Neill wanted to use the property to open a drug rehab center. The borough paid $12.9 million, which was split between Bancroft at $11.5 million and 2 Hopkins Lane, LLC, at $1.4 million. At last week’s meeting, commissioners discussed how the Bancroft property is expected to be used as age-targeted residential housing. During public comments at the meeting, Mary Previte, who served on the Haddonfield school board in the 1970s and also served in the General Assembly, asked who is responsible to get the school board actively involved in looking at how many potential students might result from those plans. “Tatem school is almost at a full capacity,” Previte said. Commissioner John Moscatelli said those concerns are being recognized. “One of the members of the school board has attended a number of planning board meetings and has made the school population issue point to the planning board many times, so it has been brought up and it has been considered,” Moscatelli said. Commissioner Jeffrey Kasko also commented on the issue. “Whenever there’s any new housing anywhere in this town or any town, there’s going to be potentially some impact on the public school system, so what we are trying to do is minimize that impact,” Kasko said. Kasko explained the new complex is going to hopefully attract a younger demographic or possibly those looking to downsize once their kids graduate. The commissioners are working closely with planners to ensure new housing being built is attractive to those without children. Residents also discussed concerns about protecting the retail stores in Haddonfield. David Hunter, a Haddonfield resident and publisher of What’s On Haddonfield, expressed his concerns about the retail shops in Haddonfield being diminished by dental offices and non-retail entities. “It’s important that municipalities protect the retail district,” Hunter said. Mayor Neal Rochford responded by saying that although he has been corresponding with zoning officers and Borough Solicitor Mario Iavicoli, he is going to look into being of more assistance in protecting the retail shops in Haddonfield. “There seems to be some slippage in certain portions of our downtown zoning. Perhaps it’s time for us to relook at that again to see if we need Mario to clear up any language or ambiguity that we have in those areas where it should be retail and not putting in dental offices and things like that,” Rochford said. Commissioners will hold a special meeting on Thursday, Nov. 2 at 7 p.m. to authorize the referral of amendments to the redevelopment plan to the planning board. • Commissioners adopted an ordinance on second reading to deter residents from raking leaves into the gutters and streets. The amendment states those with a subsequent offense within a five-year period will require a municipal court appearance; the fine will be at the court’s discretion. “A few years ago, we added to the ordinance to make it clear that it is unlawful to put piles of leaves in the street, and what we are doing here is putting a clause in that if we have multiple offenders on a first offense, it’s a fine and the standard fine is $50. If someone wants to plead guilty and mail in the check, if we have repeat offenders who are doing it frequently, this gives us the ability to actually have them go to court and let them explain to the judge why they seem to have trouble complying with this ordinance,” Moscatelli said. • Commissioners passed an ordinance on first reading regarding dog owner responsibility. If any dog causes “unsanitary, dangerous or unreasonable offensive conditions on public or private property,” the owner could be held liable and possibly result in the dog owner’s relinquishment of the animals he or she owns or other penalties. “I have to admit that I haven’t found any ordinances anywhere else similar to this, so I can’t give you any information as to how successful it might be, how it’s been handled by other municipalities, other than we are pioneering new ground. We can see how it goes and address needs to amend if those needs occur,” Iavicoli said. Iavicoli mentioned that in some circumstances, dog owners have not been responsible and the dogs have caused serious harm to some of Haddonfield’s residents, and this ordinance will hopefully make dog owners take extra precautions moving forward. Commissioners said they will take public input and look at recommendations on the ordinance at a future meeting.